When anarchists talk about counter-economic action, we envisage exchanging goods and services independent of state jurisdiction. Our purpose is to press the bounds of the regulatory state. It doesn’t matter if our efforts are illegal per se. Legality is not a moral prescription. A proper concern for institution building is uncommon in counter-economic philosophy. The black market is the uncoordinated chaos that market skeptics insist is the inevitable result of free markets and they can make a compelling argument against market anarchism on this basis. Black markets are untouched by government regulations, yes. In their stead, though, we get violent gangs vying for power in a dog-eat-dog world of asymmetric competition. 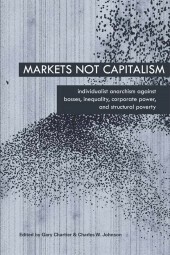 Why should we expect market anarchist societies to be different? This means we have work to do. We can’t just take part in black markets and expect mutual exchange to free us from governmental oppression. An anarchistic moral conscience must govern our participation in black markets. We must shift our focus from economic action that ignores the state, to economic action that thwarts the state. The free market is not just an abstraction of unregulated social relations that carve any given society to fit a predetermined mold. We build markets as conscious actors and it’s important to consider the deeper implications of any strategy we pursue. We could, for example, disregard black markets and work with governments to push the economy to ever more liberalized states of existence, but there are good reasons we usually avoid this strategy. There are serious concerns that come with working within the political system that exists today. Back-handed “privatization” programs that give monopolistic control of government functions to capitalist buyers don’t advance the market anarchist project despite being technically “pro-market.” Instead, deregulation programs rewrite regulatory rules to privilege politically-connected actors, just as existing private property relations reshuffled feudal legal theory to give a new economic nobility more power. Distribute basic needs outside the cash nexus as much as possible. Communal associations can bundle optional services with non-excludable goods as a condition of memberships here. Ensure common access rights to land. Nobody wants to encounter someone’s private property with every five steps they walk. For example, an absent proprietor has no right to tell someone they cannot camp in a forest. Markets exist to disseminate information, ration scarcity, and provide people with a means of living free from the domain of communal power. We should accept property rights, but with fuzzy abandonment protocols determined ad hoc. This is neutral to any theory of property, save for the assumption that private property is just as legitimate as communal land rights (and vice versa). When property is not gained through violence and resource deprivation, there is no principled rejection of “private property.” Mutual banks and credit-clearing systems exist for communities that need them. “Free banking” and competition in the supply of credit could facilitate people’s access to capital, with communal mutual aid associations providing an equal ground floor from which everyone can take part in competitive markets. When workers don’t toil under the conditions of “work or starve,” they can bargain for wages that, in their perception, compensate them for the disutility of performing work. Payment for labour should be a means to live better, not a means to make profit for somebody else while barely scratching by. In this way, participation in the market is made fair and capital accumulation trends toward an egalitarian pattern. Competition is universalized such that it amounts to nothing more than the truest cooperation: the test of forces resulting in their advantageous utilization. We have an advantage over communism in not requiring an esoteric solution to the economic calculation and knowledge problems. Neither do we have the reign of private despots living in high towers built on the suffering and plight of the dispossessed which plague capitalism. We have mutualism: the balance of interests; in this case, the balance of economic forces. To achieve this, we have to ponder what institutions can protect rebel market actors from legal persecution. We should attend to Pierre-Joseph Proudhon’s “agro-industrial federation” from “The Principle of Federation” for a promising model. The purpose of industrial and financial feudalism is to confirm, by means of the monopoly of public services, educational privilege, the division of labour, interest on capital, inequitable taxation, and so on, the political neutralization of the masses, wage-labour or economic servitude, in short inequality of condition and wealth. The agro-industrial federation, on the other hand, will tend to foster increasing equality, by organizing all public services in an economical fashion and in hands other than the state’s, through mutualism in credit and insurance, the equalization of the tax burden, guaranteeing the right to work and to education, and an organization of work which allows each labourer to become a skilled worker and an artist, each wage-earner to become his own master. As a variety of the liberal regime I have mentioned anarchy — the government of each by himself, self-government. 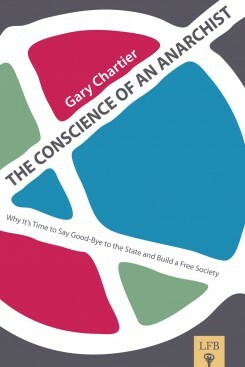 Since the phrase anarchic government involves a kind of contradiction, the thing seems impossible and the idea absurd. However, there is nothing to find fault with here but language; politically, the idea of anarchy is quite as rational and concrete as any other. What it means is that political functions have been reduced to industrial functions, and that social order arises from nothing but transactions and exchanges. Each may then say that he is the absolute ruler of himself, the polar opposite of monarchical absolutism. Proudhon is fond of experimenting with concepts and his concept of anarchy is no exception. This creates unfortunate interpretative difficulties. We can admit that Benjamin Tucker’s presentation of “The Four Monopolies’ – as if it were a summary of Proudhon’s economic work – was selective. Anarchists often cite Proudhon ‘as their own’ to justify contradictory political dispositions. What is striking is that his ultimate summary of anarchism is market-anarchist in spirit. More interesting is that he characterized anarchism this way so late into his philosophical work. This doesn’t mean we should box Proudhon into the market anarchist label, and claim him as our own. It does, however, give a meaningful groundwork for a market anarchist application. We will turn to Chapter 6 of Proudhon’s “The Philosophy of Poverty” to illustrate, as an example, the complicated conceptual moves critical to Proudhon’s thought. The chapter flows like a developing conversation. We must avoid pulling out arbitrary quotes which service our ideological biases. First, he states that the result of competition is monopoly, and that monopoly is the basis of our civilization. He talks about this monopoly possessing a “right” based on its efficiency. We should note that Proudhon’s concept of “monopoly” is broad enough to entail that homesteading a square inch of land is equivalent to owning an entire industry. Competition is the balance of monopolies, not their antithesis. After stating the benefits of monopoly and its rights, he considers the various abuses of monopoly ownership and the point where monopoly becomes a destructive antithesis to civilization. His analysis leads him to oppose monopoly. His resolution of these tensions at play is an an early development of what he later called the agro-industrial federation. He criticizes socialists who hold state monopoly as the resolution to problems incurred by private monopoly, concluding that state-socialists are just wasting their time. Our discussion of black markets, the nature of free markets, and the nature of the agro-industrial federation finds a bridge in this analysis. We need to be careful here. Proudhon is describing anarchy in terms of its ideal political form, not its approximate reality. The text I am using — as if it were a toolbox — concerns itself with this distinction. Markets today are organized on very specific institutional lines, but we should question if the market system could be constructed in any other way. Just as we cannot see capitalism – a system where capital is concentrated into the hands of a relatively autonomous ownership class – as an institution compatible with free markets, we cannot talk about “free markets” without assuming built-in institutional functions that make it workable and free. I cannot create a slave market, untouched by a regulatory apparatus, and proclaim that I am practising the libertarian ideal of free markets. Institutional arrangements are not merely incidental to market dynamics, they are their very substance. To talk about free markets is to talk about a body of freedom-conducive institutions. In this way, market anarchism is a positive program for the organization of the economic forces – an appropriately emphasized concern in Proudhon’s General Idea of the Revolution in the Nineteenth Century. Kevin Carson has written about the neotechnic revolution in great detail. The 19th century should have seen a shift from capital-intensive, large-scale manufacturing to low-cost, Artisan friendly production dynamics. His analysis comes to fruition in his great work Organization Theory and provides the groundwork for his later material. The Homebrew Industrial Revolution provides a more extensive model for how we can recover the technological revolution betrayed in this era. A central principle unites the two works: large economies of scale exist in contingent environments. In other words, environments are taken as given by those who praise them. The efficiency of making millions of standardized products at low per-unit costs of production only holds when; 1. The distribution costs of clearing large inventories are low enough, and 2. Globally connect markets exist to meet the artificial levels of demand required make use of the machinery’s idle capacity. These conditions not being met leads to an economic crisis of underconsumption, an event that still happens in the actually-existing capitalist economy of today. This is an observation that Keynesian economics identifies (somewhat) correctly. We non-Keynesians might say it is a problem of aggregate supply being too high, not of aggregate demand being too low. Market anarchism is instead a society where economic actors must internalize the costs of their actions and therefore cannot enclose fully enclose profits for themselves. Without rigid property titles and intellectual property norms, society will enjoy your productive activity, no matter if you like it. We can compare this scenario to “free rider” problems raised in economics. It is tempting to dismiss such concerns out of hand. We hear it parroted even though free rider problems have clear solutions. TV companies and radio stations found ways to operate in economically worthwhile ways as public goods. 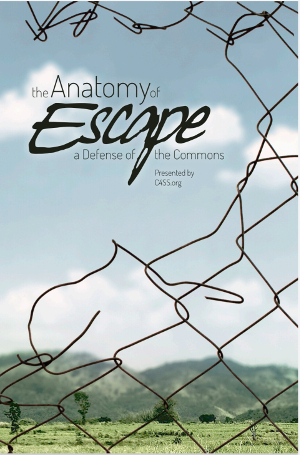 The historical commons were never open-access systems where the unconscientious could take all, but were rather a package-deal of duties and rewards. The GNU/Linux and the free software ecosystem today is further evidence that free ridership is socially beneficial. Holding this in mind, it is easy to feel cynical. To see only a complaint that markets have a natural tendency to socialize wealth. When markets are free from capitalist interference, this is their natural tendency. We must rethink the organizational bedrocks of society to realize these ideals. Free markets are a revolutionary idea: vital institutional infrastructure, as it is constructed today, is not compatible with market anarchism. 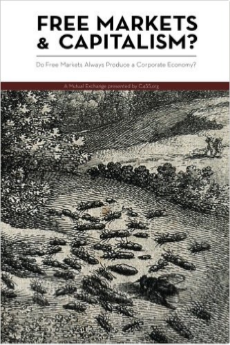 If we take Carson’s body of work to heart, we should predict a rapid decentralization of the market economy. An economy where the costs of taking part in production are low and the means to gain capital is easy and almost ubiquitous. The desired outcome is an economy of self-employed Artisans and worker-owned firms, pooling their capital together in fluid association rather than limited liability corporations playing profit roulette. In the land of approximation, we can admit the possibility of small but hierarchical firms that look like micro-corporations. What exactly this state of affairs looks like depends on our cultural values. Whether we’re willing to exclude, boycott, shame or directly out-compete organizational forms that we find undesirable. Genuine freedom is consciously built and must be actively maintained. It is a cultural relationship requiring a body of conscience that respects people enough to do good by them. The market is regulated by cultural forces at heart. We are not docile dogs that mindlessly consume whatever our capitalist masters produce. Make a decision, as a society, to collectivize the production of capital-intensive factories and treat workers like human-beings. This is not a common proposal for market anarchists, but in principle, our objection is to forced collectivization. Not collectivization by free contract and participatory exchange. Create a tightly localized federation of small production units that compete/cooperate in the context of a society we have been imagining, and testing if they can match the virtues of large-scale plant production without turning the industry into miliHitler’s discipline factory. Stated in these terms, the black market federation requires little in the way of prefigurative planning. So long as people have goals and a desire to meet them, there are no generalized, specific institutions necessarily required to get anything done in particular. 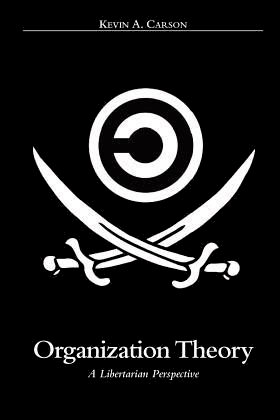 Leaving open an experimental space for alternative means of coordination is conducive to an anarchistic ethos. Four years ago, C4SS published an essay of mine that posited darknet marketplaces were indicative of a rising “black market correction” that could level the inequalities and scarcities currently pervading the black market economy today. Black market actors had created an Amazon for drugs, dedicated to the provision of all goods not approved by our Masters Above. We can derive important lessons from their continued prominence and success. Regulation in darknet marketplaces was enforced through cultural rules based on “scratch my back, and I’ll scratch yours” ideas of reciprocity. An element of social welfare emerges between the points of market exchange and the bulletin forums where consumers socialize. It is polite to give vendors the benefit of the doubt. If your package arrived in less than perfect condition, you often give them a “good” rating regardless. Particularly if the vendor is new. New vendors send out sample packages to prove that their products are legitimate. The people’s market floods them with reputation capital. To get them standing on their own two feet. This enhanced by accountability mechanisms: darknet markets have dispute resolution services for extreme cases. Word-of-mouth is more destructive here than in the formal capitalist economy. Today a corporation can resist most market pressures, consumer complaints, and scandals through their sheer power and preexisting capital holdings to recover from just about any crisis. While darknet markets have a market entry barrier (vendor entry fees) to prevent floods of scammers and LE honeypots, the field of competition is large enough that even popular, “go-to” vendors are just starting recommendations. Much unlike the capitalist corporation, they do not infringe on their competitors. There are no regulations against price wars, antitrust laws, patents, or class action lawsuits here. The costs of buying everyone out, when market participation is high, is too enormous to be a feasible option. It is because darknet marketplaces prop people up with reputation welfare that this holds true. This is an astonishing feature when considering that darknet vendors still need investment capital from the capitalist economy in a condition of artificial scarcity. We can only dream what an anarchist system of liberalized banking, pluralistic competition in money, and mutual aid would create in terms of fairness and shared wealth. The original Silk Road was a moral project, not just an opportunistic one. Ross Ulbricht was a committed libertarian and wanted to see the virtues of free markets practised right here, right now. To risk simplifying these institutions, darknet marketplaces operate like an economic federation, and they work because they are not rigid institutional forms. The organization of economic forces – the package-dealing of necessities with otherwise optional services – is a success story in resisting the moral poverty pervade real-world black market conditions. The institutional principle that black markets should organize around is the participatory federation of economic services. It takes a more creative mind than mine to fully imagine how to apply this principle to the larger world, and undo the damage caused by black market opportunism. However, the blueprints are already available, just waiting to be utilized in the world today. All it takes is a conscious commitment to expand their potential. We must take the mantle as market actors rather than envisioning abstracted “market actors” possessing in-built tendencies to just do certain activities.